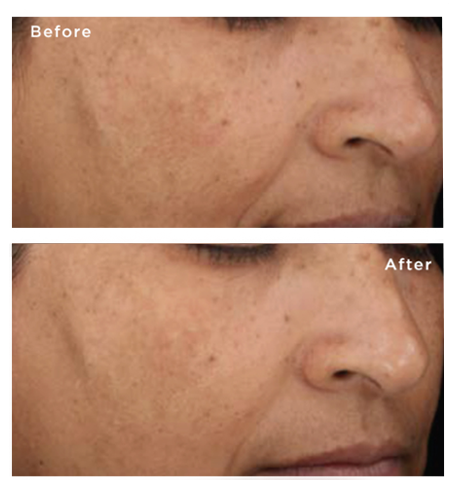 An innovative two-step radiance-boosting treatment for daytime protection and nighttime repair. 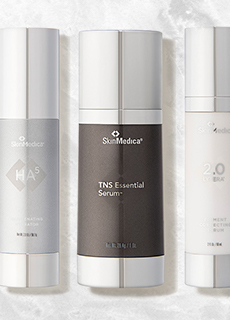 Take a breakthrough approach to skin care with LUMIVIVE™, SkinMedica’s newest protect & repair treatment that works for your skin 24/7. This innovative 2-step process is formulated to work together to give you the benefits you need for the time of day you’re at. 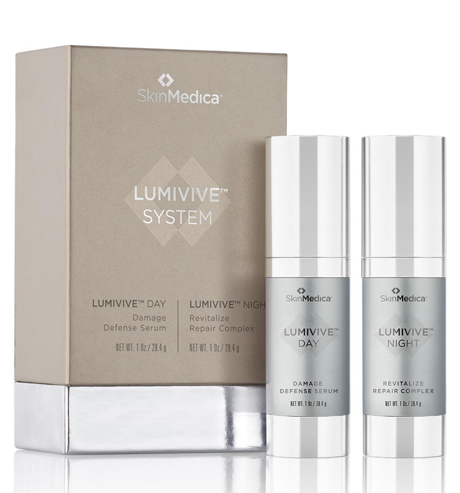 It begins with LUMIVIVE™ Day in the morning.Using NEW Envaille technology to take Vitamin C antioxidant protection above and beyond, this treatment includes bioflavonoids and extracts that support a powerful dermal barrier against pollution and the blue light damage created by phone and computer screens and fluorescent or LED light. 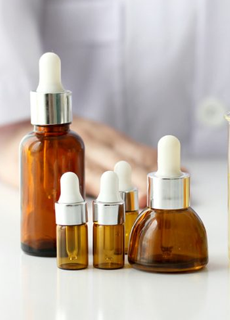 It fights the signs of premature aging caused by environmental aggressors and photo damage. 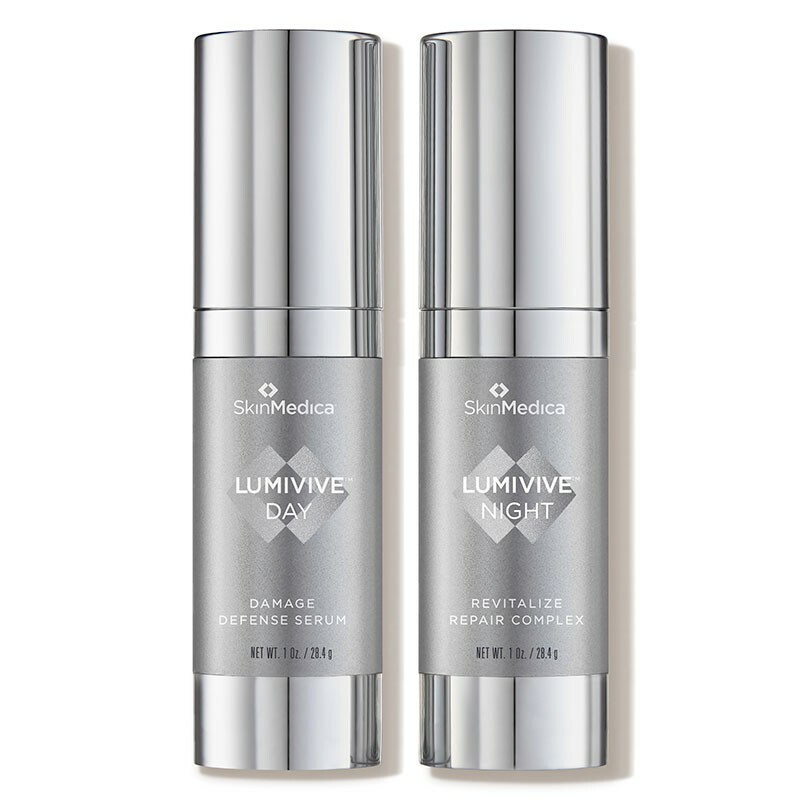 At bedtime, LUMIVIVE™ Night takes over to take advantage of your sleep cycle’s many skin-healing benefits to support the repair and replenishment of your complexion. It detoxifies and reinvigorates skin for radiance and even tone. No need to replace your regimen—LUMIVIVE™ works to enhance the benefits of your existing habits and supports the regimen you use! In the morning, use one pump of LUMIVIVE™ Day after washing and patting face dry. Spread evenly over entire face and gently massage in until completely absorbed. At night before bed, use one pump of LUMIVIVE™ Night after washing and patting face dry. Spread evenly over entire face and gently massage in until completely absorbed. LUMIVIVE™ Day: Water/Aqua/Eau, Silica, Squalane, Glycerin, Niacinamide, Dimethicone, Butylene Glycol, Glyceryl Stearate, PEG-100 Stearate, Cetearyl Alcohol, Butyrospermum Parkii (Shea) Butter, Acetyl Tetrapeptide-2, Polygonum Aviculare Extract, Physalis Angulata Extract, Dunaliella Salina Extract, Ubiquinone, Camellia Sinensis Leaf Extract, Tremella Fuciformis Sporocarp Extract, Alteromonas Ferment Extract, Theobroma Cacao (Cocoa) Seed Extract, Bioflavinoids, Betaine, Melanin, Tocopheryl Acetate, Tocopherol, Hydroxyacetophenone, Caprylic/Capric Triglyceride, Batyl Alcohol, C12-15 Alkyl Benzoate, Panthenol, Ceteareth-20, Xanthan Gum, Ethylhexylglycerin, Disodium EDTA, Propanediol, Caprylyl Glycol, Potassium Sorbate, Sorbic Acid, Phenoxyethanol.